Room Options: Minimum guest number requirements per room. (Check below) – Single person supplement available, please email support@hauntedrooms.com to check availability for this. BOOKINGS ARE MADE THROUGH HAUNTED ROOMS AMERICA ONLY – Please do not contact the venue. Wow oh wow… What. A. Venue!! Join a team of friendly experienced ghost hunters along with other members of the public as we head into Miss Molly’s Hotel in the Historic Fort Worth Stockyards, TX, for what promises to be a night not to forget! Not only will you be conducting a full night of paranormal investigating at one of the most haunted locations in Texas, but you’ll be sleeping (or trying at least) in the haunted hotel rooms! And as an added bonus you’ll also enjoy a private tour on the Stockyards Ghosts Tour, which is a sell-out every weekend! Taking in the stories and lore surrounding one of the most historic areas in Texas! Topping off a fun night of ghost hunting we’ll be sending you off with full bellies, as we’ll offer a scrumptious breakfast in the morning. Are you brave enough to investigate and stay over at this unique and very active haunted location? Book now to avoid disappointment! 18 and over’s only! No alcohol is allowed and anybody under the influence of drugs/alcohol will be asked to leave and their booking fees lost. Use of our equipment which includes, trigger objects, EMF Meters, EVP Recorders, Ghost Box etc. Free time to investigate at the end of the night! Located in the middle of the Fort Worth Stockyards, Miss Molly’s is the oldest Bed and Breakfast in Fort Worth. Established as a boarding house in 1910 and called the Palace Rooms, it went through the prohibition period being called The Oasis and later as a Bordello in the 1940’s when it was called the Gayatte Hotel. Miss Molly’s is just old enough to have caught a glimpse of the Wild West and all of the time period of America’s speak-easy and bordello days. Its long history as a boarding house has included a vast number of residents. Apparently, some have decided to extend their stay. Perhaps the large number of antiques and period pieces in the hotel remind them of the bawdy times that they shared there. Walking through the seven bedrooms is like spending time in a museum. All have turn-of-the-century décor and antiques. Every room reflects parts of Forth Worth’s colorful history. Some rooms feature cowboy and rodeo themes while others capture the oil and railroad days. A favorite room for guests is Miss Josie’s Room, named after a former madam. The room was originally decorated in red velvet, but now has a fabric on the ceiling and lace covering everything from pillows to curtains. There is a wood burning stove along with a private bathroom complete with an old fashioned bathtub and a pull-chain toilet. If your tastes lean toward cowboys, rodeos and railroads, other rooms feature pictures of famous outlaws like the Sundance Kid. There are also old boots, hats, railroad spikes, and whistles. The seven themed rooms in the hotel all share stories of paranormal activity, with the Cattlemen’s and Cowboy rooms having some of the more famous sightings of apparitions. 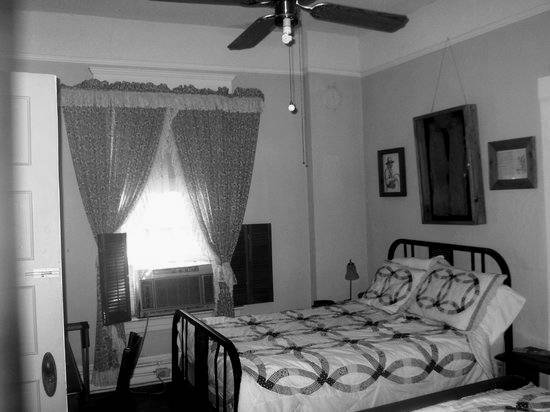 Visitations have also occurred in the current owner’s private room’s number eight and nine of a young girl, who is considered a former tenant of the hotel. Most of the sightings have involved the former working girls from the hotel’s days as a bordello. 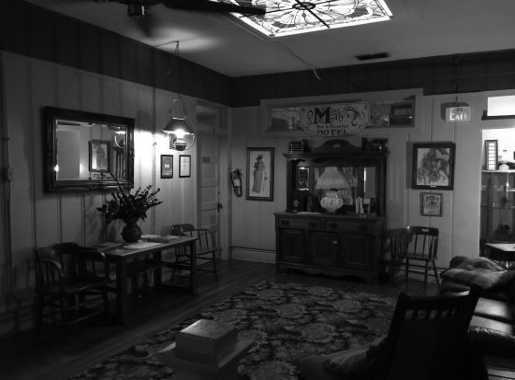 The phenomena at Miss Molly’s includes full bodied apparitions, unexplained scents, items disappearing and reappearing, toilets flushing on their own, lights turning on and off, cold spots, unlocked doors refusing to open, and a variety of unidentified but entertaining sounds. According to a former owner, one housekeeper quit because she kept finding coins in rooms even though there had been no guests in that room and she had just finished cleaning only to return and find the coins where she had just cleaned. 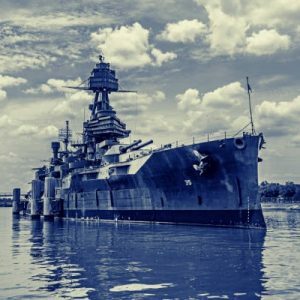 Miss Molly’s has been visited by a number of paranormal investigation groups and is listed with Texas Christian University’s paranormal activity class, which makes regular visits to record the phenomena. Copies of unusual photos and tape recordings, as well as statements of the investigators and results, are kept prominently in the common living area. The hotel situated above Fort Worth’s Star Café takes visitors up a staircase to another era, period furnishings, furniture, and a number of stories about unexplained happenings provided with first hand accounts by the owner. Miss Molly’s is considered one of the most haunted properties in Fort Worth and one of the most active paranormal sites in Texas. Any native of Fort Worth will tell you that the city is where the West begins. Strolling through the Stockyards section of town offers a ride back to memories of cowhands and cattle drives up the Chisholm Trail. It’s where a small fort was built to fend off Indians, where fortunes were made and lost, and where many riders left on their last trip heading to Kansas with the cattle herds. It’s Hell’s Half Acre, and it contained as many bordellos, gambling halls, and saloons that could fit on that patch of land. Today, the Fort Worth Stockyards look almost identical to the way they did during the heyday of the cattle drives. Hotels, restaurants, and shops still share the same streets, the same old wood frames, and possibly some of those same old trail hands and outlaws that once walked down Exchange Avenue. When the old steam locomotive, the Tarantula Train, pulls into town on its run, not everyone who steps off has paid for a current ticket—some are phantoms from a bygone era. Ghost stories are plentiful in the Stockyards. It was regularly home to outlaws and gunfights. From the General Store to Miss Molly’s Hotel, one walk down Exchange Avenue might have you wondering if the cowboy next to you is an actor or an actual ghost from the past. Miss Molly’s Hotel, a former bordello, is still maintained the way it was when it was first visited by cowhands making a last visit to see the ladies before they hit the trail. At least two rooms and the kitchen are reputedly haunted, with a visiting reporter once waking up in the middle of the night to find a former blond employee from the hotel’s glory days sitting on his bed. The Stockyard’s hotel has recorded at least two ghosts sighted by the staff. It had been the hotel of choice for Bonnie and Clyde, who spent a night in room 305. Butch Cassidy and the Sundance Kid also favored the Stockyards for a resting place, along with other members of the Hole in the Wall Gang. Walk into any store or restaurant and one of the old-timers will have a ghost story to tell. After all, with Billy Bob’s—the world’s largest Honky Tonk—in town, maybe some of the old cowpokes couldn’t bear to head out before one more round.